Planning Committee Digests – February 2018: Congestion, Urban Design, Airport Rail and Regional Rapid Rail! Yesterday the Planning Committee met for the first time for 2018. Congestion, Auckland Urban Design, Airport Rail and Regional Rapid Rail were all topics debated or presented on at the Committee. The Planning Committee met today for its first meeting of 2018 to consider updates on quality urban design across Auckland and the Auckland Smarter Transport Pricing project. It also made the Hauraki Gulf Islands District Plan fully operative and additional parts of the Auckland Unitary Plan operative following the resolution of legal appeals. The following is a summary of decisions made at today’s meeting. Items 1-8 were administrative items, with the exception of item 5 summarised below. 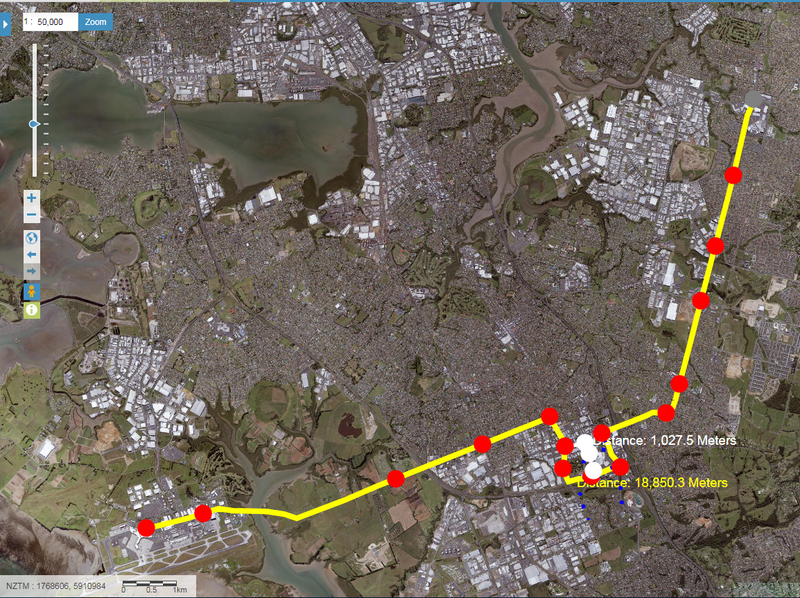 An update on the completion of Phase One of the Auckland Smarter Transport Pricing Project, known as The Congestion Question, was given to the Committee. The Congestion Question project is a joint initiative between the Government and Auckland Council to understand whether or not congestion pricing is right for Auckland and what it might look like as a way to influence travel demand and ease congestion. The project is being undertaken in three phases. Phase One concluded that Auckland’s congestion has worsened over recent years, and is expected to become more widespread and that there is a strong case for continuing to investigate if congestion pricing is right for Auckland. Councillor Chris Darby, Planning Committee chair, says that Auckland’s congestion issues have been talked about for years and there is a significant need to progress solutions more quickly. “We are seeing dramatic change with worsening congestion in a short time. Four years ago Auckland’s population was estimated to reach two million people by 2035, but with rapid growth this is now expected by 2028. “This latest report tells us that congestion levels are rising at alarming rates with people spending an additional 40 to 55 per cent longer sitting in traffic. “We need to look at the suitability of congestion pricing thoroughly, comprehensively and with the input and views of Aucklanders on what they think”, says Councillor Darby. More information about The Congestion Question project, a copy of the Phase One report and frequently asked questions is available on the Ministry of Transport website. There were three public input items presented to the committee today. Ben Ross presented on the southern airport line and airport to Botany rapid transit, Harriet Gale on behalf of Greater Auckland spoke about regional rapid rail and Henry Crothers, chair of the TÄmaki Makaurau Design Alliance, spoke about the work of the alliance and how it relates to the council’s Auckland Design Office. The Committee agreed to update and make fully operative the Auckland Council District Plan (Hauraki Gulf Islands Section) 2013 following the Environment Court’s final resolution of appeals. Since November 2009, the council has been working to resolve appeals to the plan. It was made ‘operative in part’ in September 2013 and the next step is for the council to notify the date on which the plan becomes fully operative. Additional parts of the Auckland Unitary Plan are to be made operative with more appeals having been resolved.This means the vast majority of the Auckland Unitary Plan is now in place. In September 2016, Auckland Council received 108 appeals against the council’s decisions on the Proposed Auckland Unitary Plan – 67 Environment Court and 41 High Court. There were also eight judicial review applications and five additional Environment Court appeals arising from High Court proceedings. Of the total 113 appeals only 31 remain currently active and 8 of these have been partially resolved. Of the eight judicial reviews, six have been determined or discontinued. Details of each appeal can be found on the Auckland Unitary Plan website here. The Committee reaffirmed the importance of Auckland Council’s commitment to quality urban design across the Auckland region. Auckland has benefited from improved urban design and place-making in many places, notably the City Centre and Waterfront, Hobsonville, Newmarket, Takapuna, and New Lynn. Managing Auckland’s unprecedented growth means achieving higher quality urban design outcomes to create places of lasting value but it also provides opportunities to reach a new level of collaboration with the government, private, and not-for-profit sectors. A summary of memos or briefing papers distributed to committee members. More information on topics from today’s meeting is available in the Planning Committee agenda available on Auckland Council’s website and minutes will be added once confirmed. This meeting was also webcast on the council’s website and items are available on-demand. The stream of the Planning Committee can be seen here. America’s Cup Bases At Wynyard Quarter Confirmed. A Bit of Both!